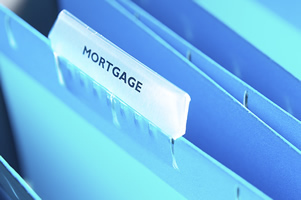 CT Pest Inspection Guidelines For Mortgages. This past week we got a call from a well seasoned Realtor, and is extrordinary at what she does. The reason for her call was because she had a question concerning CT Pest Inspections and who is allowed to pay for them. After answering this Realtor’s question, we realized, if this very experienced Realtor did not know Pest Inspection Guidelines For Mortgage Loans, then most likely other Realtors and Home Buyers today do not know the guidelines for Termite Inspections in CT. Conventional Loans are the most lenient. If the Appraiser indicates evidence of wood-boring insects, dampness, or settlement, the Appraiser must comment on the effect that it may have on the marketability and value of the property. The Lender must also provide satisfactory evidence that the condition was corrected, or provide an inspection report by a licensed CT Pest Inspector stating that the condition does not pose any threat of structural damage that requires correction. For FHA and VA the rules have changed over the years. At this point if an FHA Pest Inspection is ordered, it can be paid by anyone, as well as the treatment if treatment is required. VA requires a Pest Inspection with every loan. VA also has one other difference from FHA. VA REQUIRES the Seller to pay for the Pest Inspection, BUT if treatment is required anyone can pay for it. Hope this helps to clarify this issue for those who might be involved in a CT real estate transaction in the future that requires a Pest Inspection and are not familiar with the CT Pest Inspection Guidelines For Mortgages.